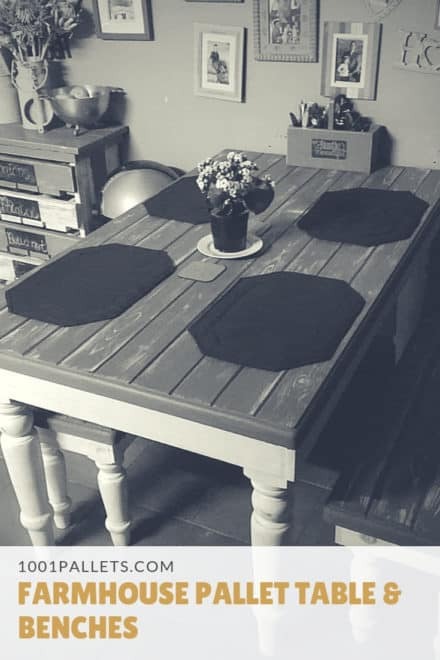 We have pallet table ideas that allow flexibility, customization and are perfect for both indoor and outdoor use! 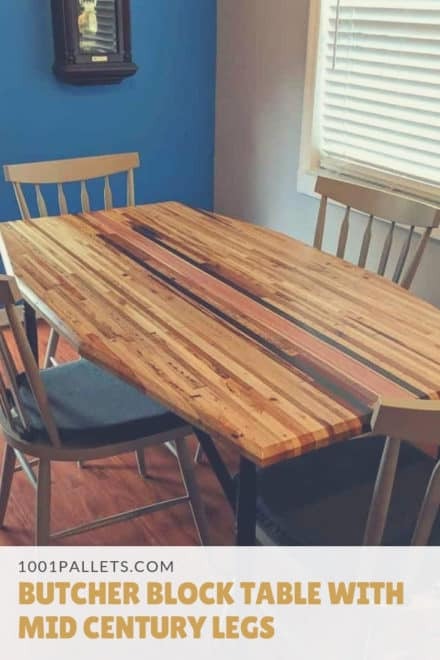 If you need a work surface in your kitchen, dining room, living room, office, man cave, sewing room, or outdoor living spaces, we have ideas for you! Don’t buy off-the-shelf! 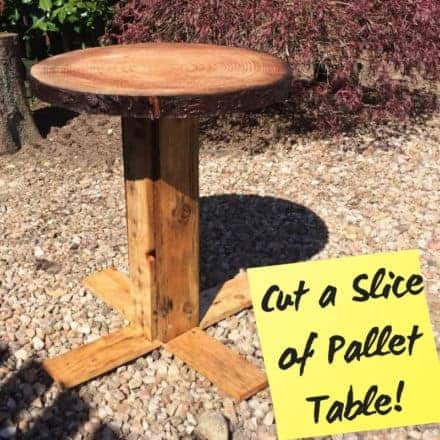 Build the exact pallet table that you need! 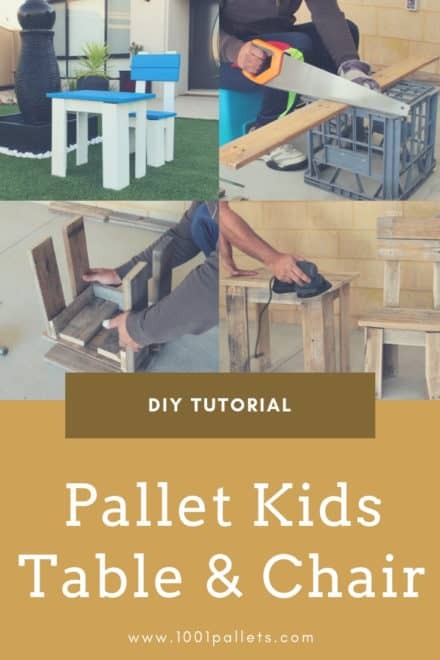 Be kind to your wallet and the Earth by making a DIY Pallet Project such as a pallet table. Create patterns, add a lower storage shelf or drawers, or even make it mobile by adding casters! Expand your work areas or make a great place to have a favorite beverage. Create a table to custom-fit your needs. Build one for your office, lounge, or create additional party décor options. 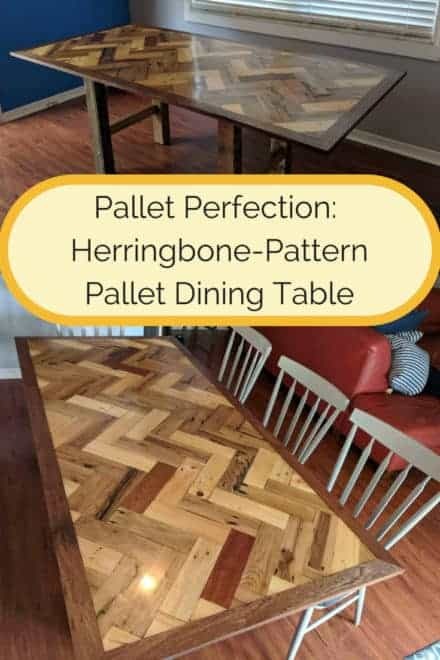 Enjoy the pride that comes with building a piece that lasts for years instead of store-bought pressboard furniture. This is my first pallet project ever, learned some valuable lessons and really pleased with the results. I like a gadget so may add to it if I find anything useful. In the summer I like to work outside. 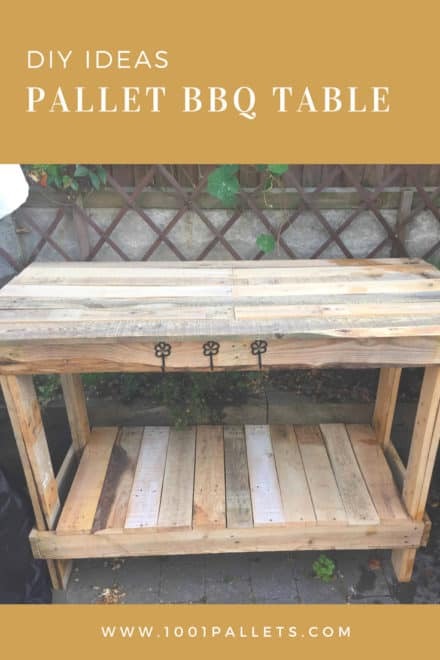 I needed an indoor/outdoor mobile work table, so I’ve made this work table with repurposed pallets. Herringbone always intrigued me. I had some great planks for a countertop project that fell through. I decided to build a table with it.